When people think of tonics they often think of drinking an alcoholic beverage with a few herbs for taste, but I am here to tell you different. When talking about tonics especially “spring tonics”, what Herbalists are referring to is taking herbs that help “tone” the function of the liver. Spring time is the time when the “liver” will want to get rid of toxins that have built up over the colder months of winter, or your wet season. Since in the cooler months, no matter where you live, it is more difficult to get rid of toxins in your body because we are not “sweating” enough to get rid of them. By the way, the way the liver releases toxins is through the bowel. If the word “toxins” creates skeptism, then I would suggest visiting these websites to see how many pollutants, chemical & heavy metal by nature, are affecting our food and water. In fact, you can read up on how many toxins are found in the “cord blood” of a new born baby. It’s quite alarming! Basically, the herbal “spring tonics” help the liver to do its functions of creating vitamins, hormones, making bile for fat emulsification, and detoxifying the body of its chemicals & heavy metals that get into the body through air, eating & drinking plus also through the skin. Some of the gentle tonics in the herbal world are; Dandelion root & leaf, Cleavers, Milk Thistle, Yellowdock, Burdock, Nettle leaf, Raspberry Leaf, Red Clover Tops, just to name a few. The easiest one to start with is Dandelion since it grows well in spring, though due to spraying I would not recommend collecting it within city limits or in ditches. It’s best to buy it organic through markets etc. The ideal way to take a spring tonic for the liver is in tea form, though for some, including me, the bitterness of some of the liver spring tonics is too much for tea. You have to experiment a bit to see what you can handle. Whatever the case, these tonics I’ve listed are very gentle and are not for deep detoxification, but would be useful for younger people and kids. When considering allergies, think of a glass that is being filled up with “muddy” water with the “muddy” water representing toxins, it will overflow at some point giving you symptoms to deal with. In the case of the liver, spring allergies is the overflow symptom that you often will get. When dealing with severe allergies in spring, which is one of the main ways the liver will show it needs cleaning, people will often need a mixture of herbs that work both on bile production & lymphatic congestion. The herbs that work on bile production will help the bowels move to eliminate waste build up in the colon which in turn helps take a load off the liver. The lymphatic herbs help get the garbage from your lymphatic system and your liver into your bowel. (Your bowels need to be moving 3x per day, after each meal if you are eating 3 meals per day or 1 or 2 if eating 1 or 2 meals per day. They should be a “twoonie” size around and be as long as your arm…just FYI.) The liver will keep your blood purified so that you can stay alive, but when your colon is full it will have a lot more work to do to keep the toxins from killing you so it will purify, purify, and purify! So getting rid of that “solid waste” build up will take a load off the liver which will in turn give you more energy. This more intensified herbal formula is usually taken in capsules since the teas would be to bitter to consume, though some can endure it. These formulas must be applied by a professional who can make sure that it isn’t too strong for you to take and can also make sure that you combine a good “cleansing” diet with the herbs to get optimum performance. Dark leafy greens, but not Kale since it has been shown to be high in a heavy metal called Thallium, the “spring mix” is good or the baby romaine lettuce or the baby spinach is good along with organic fresh lemon juice in water, organic lime juice, etc., light proteins like beans, lentils, some small fishes (check list for fish high in heavy metals), organic chicken, organic apples, organic carrots, organic beets are some of the foods you can eat on a cleanse. Remember a cleansing diet is not enough as foods alone (unless you can eat things like Mustard Greens) will not have the power in their plant chemistry to promote the deeper detoxification phases of the liver. You have to have the deeper cleansing herbs for that. I am going to “refrain” from listing the deeper cleansing herbs only because I don’t want people to rush out and buy them, mix them up themselves without knowing how or what ratios to use etc., you really need to consult with someone who is “in the know”. Sorry to those who are disappointed about this, but I will say that Christopher Hobbs who has written a book many years ago on Liver Herbs, has very good information for those who want a reliable reference book to help themselves with. 1. Natural Therapy for Your Liver by Christopher Hobbs. In conclusion, when you clean out your liver via herbs, diet, skin brushing, colon cleansing etc., you ultimately lower the toxins in your blood which in turn makes you less susceptible to allergies in the spring. But if you find you still have allergies after consulting a professional, as well as using ideas from the above publications, then you may need some homeopathic remedies, which I will have to write about in another blog post, since it goes beyond the scope of this article. This article is written for educational purposes only and whoever reads this is solely responsibility for applying or not applying the suggestions. This article does not take the place of consulting with professionals in the Holistic Health field as well as those in the Western Medical field. Trying things on your own should be coupled with advice from the appropriate person. with whole grain flour, whole grain sugar cane and brown rice….according to your ABO blood type. 2. Eat the “beneficials” off your blood type chart. 3. Food combine. Proteins and veges. Starches and veges. For more information read about it in the “Body Ecology Diet” book. 4. Drink hot water with fresh lemon squeezed into it. It helps to unclog the liver. 5. Do a liver/gallbladder flush after doing a series of colonics. 6. Do a liver cleanse with herbs and a series of colonics to flush out the toxicity from your body. 7. Use fiber drinks and bowel tonic herbs to increase your elimination. 8. Eat raw veges at lunch and at dinner. 9. Juice vegetable juices and drink 2 to 4 – 8 oz glasses daily. 10. Drink wheatgrass juice in lemon water or in unfiltered, organic apple juice. 11. Go on a cleansing diet of raw vegetable juices and raw vegetable salads with lots of green veges and sprouts…do for 4 to 10 days if you can. Come off of it with light proteins. 13. Have a bath with 35% hydrogen peroxide in it….soak at least 30 minutes. Make sure that you take Magnesium citrate capsules or powder for at least one week before you start the colonics. Then make sure you continue to take them to keep your bowels regular and soft. The dosage is: 4 capsules before bed and 2 in the morning. It can be lowered if you get too loose or can be increased if you are not going at least 2 times per day. With the powdered Magnesium, the best is to start with the highest dose suggested on the bottle then decrease it or increase it as you see necessary. Take your probiotic daily (HMF probiotic from Seroyal is the best as it stays in your body the longest. Ask me about this if I haven’t told you already.) especially at the beginning of your suggested regime. As you increase your fermented foods, you will need to take the probiotic less and less until you don’t need it anymore. You can tell when you don’t need it anymore because you will not be bloated after you eat or later in the day any more. (Provided you are eating the diet that is right for you. Check my website: www.hiraihealth.com for recipes on fermented foods under: healthinfo/articles&links. Report any problems that you may have after the colonic like; a) feeling sleepy, b)increase in gas, c) right-sided lower abdominal/back pain d) not being able to have a bowel movement for more than a day after having a colonic. (Missing the day after having a colonic is normal.) You need to call me when you have these symptoms. Usually if you have any of these symptoms it means you have a dysbiosis, which is low good gut flora and increased yeast & parasites. It can be easily solved by taking a parasite remedy or yeast remedy or a combination of the two. Remember it takes at least 3 colonic spaced out no more than 2 weeks apart, (1 week apart is recommended) to get decent results and most people need at least 6 colonics or more depending on the nature of your digestive issues. Once your colon is cleaned out you will need to have a “Maintenance Program” in place to help you maintain proper elimination & digestion. This will vary from person to person and you will need a follow-up appointment after your series of colonics. With this program you will be able to have colonics as a part of a cleansing program or before & after travel or as needed for general health maintenance. Cleansing clinics around the world recommend a minimum of 3 colonics spring and fall for cleansing to help keep the body free of dis-ease. Books on cleansing & colonics: 1) Tissue Cleansing Through Bowel Management by Dr. Bernard Jensen. 2) Colon Health by Norman Walker. 3)The Colon Health Handbook by Robert Gray. If you have any questions or concerns or have any symptoms as listed under #4 of this list, please email me or call me right away. Check out my new blog post! Happy New Year! There are a few myths regarding the liver/Gb flush or the Gallbladder flush as it is also called. Some of the myths are; it is a cleanse, you will get stones stuck in your bile ducts, the stones that come out are really soap created by olive oil and your bile reacting together; it does not really do anything so just get your gallbladder out because you don’t really need it…the list goes on and on. Here are some facts; If you use the epsom salts as part of the flush that you are doing…this is the recipe that I recommend AND you follow the directions of the whole procedure with the help of a Holistic Health Practitioner…then I have never is 17 years seen anyone get a stone stuck in their bile ducts. 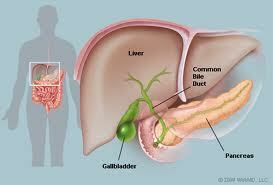 I also have seen, and experienced myself, people avoid gallbladder surgery with this procedure. AND though some natural health practitioners will say that “soap” is made with the flush and the stones are tiny and inside the “green pea” that comes out….I think though there might be an element of truth to this… the fact is that I have seen stones that are large and hard come out of a gallbladder that was removed from a patient..back in my histology days. So I believe a lot of the stones are larger than what people think. I can also tell you that in the 17 years I have done these flushes myself and counselled countless others to do the same…I have seen nothing but good come out of this flush. People who had trouble with years of chronic constipation have been cured plus others, like myself, have avoided this needless Gallbladder surgery. What is this flush anyway?? You may be asking this. It is a procedure to “clear the bile pathway through the common bile duct” into the duodenum. It is not a “cleanse” in the true sense…as cleanses involve using herbs orally along with a cleansing diet…and usually lasts for at least 1 week. 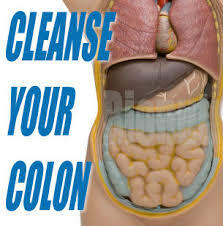 Cleanses involve at least 3 colonics over that same time period. Cleanses remove toxins at the cellular level…the action of the herbs..and focus on the liver, kidney, lymph and bowel. Other procedures such as skin brushing are also incorporated in order to intensify the cleanse. The biggest point to take home with you is this; Cleanses clean cells, Liver/Gallbladder flushes clean out the bile ducts so that the liver can dump the toxins from a cleanse into the bile..the way the liver detoxifies..into the intestines to be eliminated. Often the Liver/Gallbladder flush is done at the end of a cleanse, but I am here to tell you that…because it assists in getting out the toxins…I believe it should be done at the beginning of the cleanse and also and the end of the cleanse. 1. If it is your first time, consult with a natural health practitioner first. There are some contraindications and other pre-cleanse procedures that need to be considered in order for the flush to be a success. 2. Have a colonic before and after the first flush for sure and maybe even the second flush. Most people have to start with 2 flushes spaces out 1 to 2 weeks in order to get the whole gallbladder and liver flushed out. Some even need to start with 3. This can be determined when you consult with your Natural Health Practitioner. 3. Make sure you follow the diet recommended before the cleanse, it is mainly the day of…though if it is the first time doing it you may want to do the extended version which requires the lemon juice or apple juice for 5 to 7 days leading up to it. For those that fast, they will fast on those two juices, for the many that do not fast, they can just eat a fat free diet for 5 to 7 days and incorporate the juices in between meals. This blogpost does not in any way take the place on consulting with a Holistic Health Practitioner and is definitely not meant to prescribe or treat or give advice. It is for information purposes only.